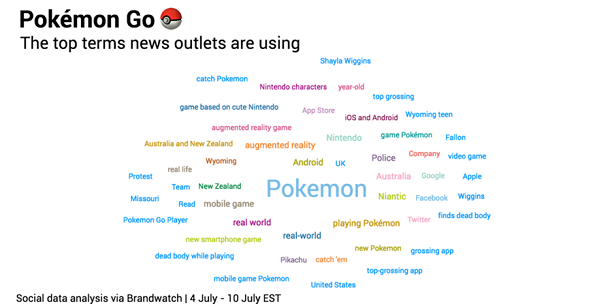 Social intelligence company Brandwatch has done some number crunching to assess just how much of an impact Nintendo's new mobile game Pokémon Go has had on Twitter. Millions of people worldwide have downloaded Pokémon Go since it was released. And while the mass take-up of the game is causing intermittent server troubles, much of the conversation surrounding it has been positive. The app allows players to follow a map using their phone's GPS location data and catch Pokémon to train and send into battle. Brandwatch looked at data from 8-18 July, tracking 11.8 million mentions of the game across social media. It provided some insight into the popularity of the game, which has become a viral hit, without much in the way of marketing spend. While 58 per cent of those mentioning the game were male and 42 per cent were female, Brandwatch noted this was considerably more balanced than data it had analysed on previous game-related conversations. Mentions surrounding the E3 conference, for example, had a considerably higher concentration of male authors (78 per cent). 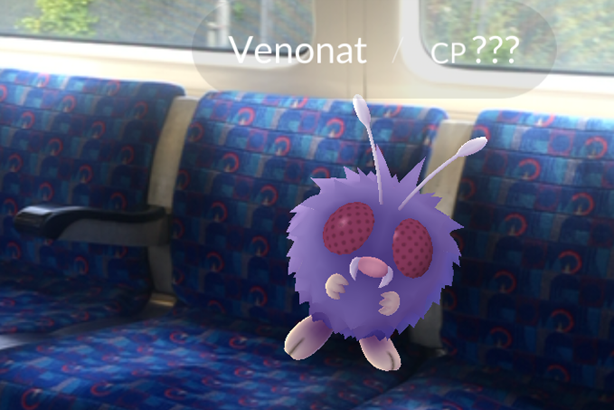 More than a million mentions of the game were racked up per day on weekends, while the building clamour around the game’s staggered release dates across different countries has meant there has been global participation in Pokémon Go conversations – even in countries where the game is not officially available. Then there is the press coverage. Much of the discussion around the game has developed organically and media outlets have fallen over themselves to cover the phenomenon. There have of course been some less than positive stories – a wandering Pokémon Go player stumbling across a dead body sparked a range of articles (there has since been another similar story), as well as stories about robbers luring players to specific locations. One player found themselves in hot water with Gloucestershire police after calling 999 to report 'stolen Pokémon'. Of the top terms news outlets are using though, "top grossing app" also makes an appearance, so Nintendo is probably quite content with how its approach to marketing the game has paid off. As for when people have been playing the game – late night is the prime time. At 7am in New York, mentions of the game dipped below 20,000, while 10pm to midnight proved the most popular time for mentioning the game. And while it is hard to predict the game’s shelf life, savvy brands will have the chance to capitalise on the surge of interest – Pokémon Go developer Niantic has said it will feature sponsored locations in the game in the future. If Nintendo successfully monetises the game and interest does not wane, brands can rest assured there will be plenty more opportunities for others to get involved.